As a lapsed fan of Konami’s Castlevania series I did not really know what to expect from this Canadian-American, anime inspired, R rated animated project. Honestly I am quite glad I came in blind as I expect this is a part of why I enjoyed the “series” so much. As the basic outline of the “series” is provided by Castelvania III: Dracula’s Curse however it was adorned by thing I assumed must be new which made it less faithful but a better adaptation. This allowed me to look past the “series” pedigree and instead look at its merits and flaws on their own right. As you will notice the word “series” remains in quotation marks, this is deliberate as Castlevania is not a TV series. It is a a sub-100 minute movie broken up, sometimes roughly, into four episodes much like Digimon Adventure Tri on Crunchyroll. If you endeavor to watch Castlevania it is advisable to watch it as I assume it was meant to be seen as a film. The series as constructed in its current form is oddly paced and to be blunt the ending point is baffling; however when taken through the lens of being the first in a three part trilogy many of these decisions make more sense. Due to this Castlevania feels far less complete then any Netflix Original Series before and instead is a mere teaser of what is to come in the already announced Second Season. Which is to be comprised of eight episodes or more accurately the final two films as originally envisioned. This is not to say Castlevania is a bad series/film as it is not, it is actually a very fun and at times wild(ly violent) ride. The first episode especially sticks out as my favorite of the bunch establishing the “villain” Dracula in a way that the games series never has. Instead of being an over the top big bad, Dracula is actually the most understandable and fleshed out character by the end of the series. Driven by loss and love while his actions are extreme they are understandable especially when the true villains of the series/film are revealed. Indeed as the series/film moves on it becomes quite clear that Castlevania is not about Dracula just yet. No it is focused on the corruption that brought his wrath in the first place - that of the Church. The main arc of the series/film involves Trevor Belmont (yes those Belmont’s) and his various encounters with the Church allowing his sleeping heroism to finally rise from its drunken stupor. With the assistance of a persecuted sect of what can only be described as true believers The Speakers, Trevor later aided by Sypha Belnades tries to expose the Church for what it truly is to the general populous. One scene in particular underscores the Churches decadence as the current reigning Arch-Bishop who was directly responsible for Draculas wrath comes face to face with the Vampires demonic hoard. The Priest declares that they cannot be here “A place of God” to which the Demons laugh, where they explain Gods love is not universal for he does not love them. They then say nor does He love the Priest for the Priests lifes work sickens Him. The whole scene works extremely well in setting up the more complex take on good and evil that Castlevania will be taking. As while the monsters are clearly evil in many ways the evil of man brought it upon itself. Only by the actions of those good in deeds not words such as the Belmonts and the Speakers can Dracula be defeated. This theme is made all the clearer in the final scenes of Castlevania as we meet the last of our principal cast going forward. For fans of the series it will be abundantly clear who I am talking about but for those who are not I’ll save that surprise, even if it is not much of a surprise all around. Just know when this character shows up some of the best scenes in the series comes with them. Finally from a technical perspective Castlevania shines as the animation is top notch. The anime influences of the series is striking and fitting. Unlike other anime style Western productions the anime influence of the series fits Castlevania’s Gothic medieval setting perfectly. In fact there were scenes that could have been lifted straight out similar series such as Claymore, Berserk (90's), or other dark fantasy anime of the 90's and 2000's. While there were some production issues I took issue with such as the excessive violence and swearing. Which often felt as if it was added to ratchet up the age rating artificially and give it an edge to make sure people don’t think of the production as “Some cartoon” overall the series feels quite fresh. All around it is quite easy to have a good time with Castlevania, however it is clear the “series” is only a teaser for what comes next. In fact the whole thing feels like a prologue and the game hasn’t even started yet. That being said it succeeds in what it sets out to do and I cannot wait for more as an adaptation of a video game which is almost universally terrible Castlevania will likely rank near the top for many fans. 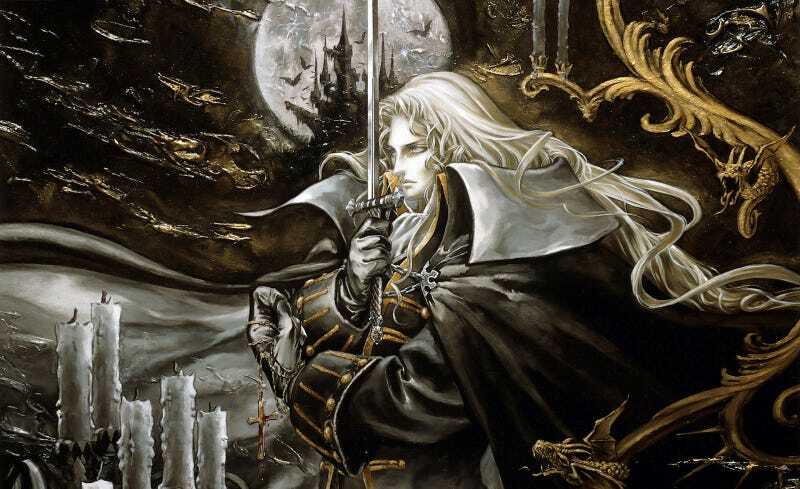 There is even a high likelihood Castlevania will be seen as its own thing separate from the series that spawned it something many adaptations fail to do.